Hirschmann Class A Volumetric Pipettes are certified to meet ASTM E969 standards. As per specifications, these pipettes are constructed with Borosilicate Glass to ensure that they are durable and can be used throughout a wide range of experiments. Hirschmann has color coded their volumetric pipettes so that users can quickly organize and choose whichever size they need. Furthermore, capacity lines and markings are drawn on with fine black enamel to guarantee high visibility and contrast against most lab reagents. 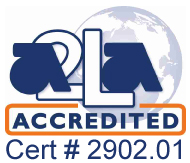 Users can also choose to buy specially treated units that have laser printed serial number on the body and then also include a certificate of identification and accuracy. American Society for Testing and Materials (ASTM) developed standards to identify volumetric pipettes as either Class A or Class B. Class A is for precision pipettes and Class B is for general purpose pipettes. The major difference between the two is the capacity tolerance, of which Class A is the more rigid (more precise). Hirschmann Class A Volumetric Pipettes are carefully constructed to match the specifications laid out by ASTM E969, and to meet the standards for borosilicate glass outline by the same standards. Users can be certain that these pipettes will perform as expected. 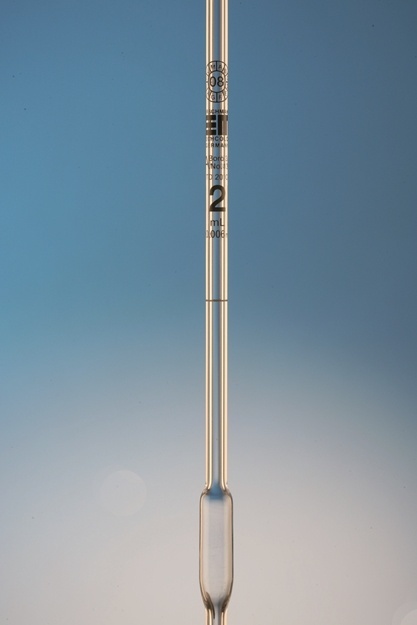 Borosilicate glass is used for Hirschmann Class A Volumetric Pipettes because it is more durable, can withstand higher temperatures and higher temperature differentials as compared to ordinary glass. Users can feel more comfortable using Hirschmann Volumetric Pipettes for a wider variety of tasks as compared to ordinary glass pipettes because they are rated for a wider range of conditions. Borosilicate glass is prepared as per ASTM specifications..
Hirschmann Class A Volumetric Pipettes are color-coded for user convenience. Each unique volume is differentiated by its own color code. The capacity line and any other markings are labeled with a fine black enamel that clearly stands out and is easily visible/readable. Hirschmann Class A Volumetric Pipettes are designed for ease-of-use, and ease-of-interpretation, so that measuring and reading volumes are the least difficult part of any experiment. For laboratories requiring extra audit and organization information, Hirschmann Class A Volumetric Pipettes are also available with extra laser printed labeling. Users can select product numbers ending in “S” to purchase Hirschmann Volumetric Pipettes with the serial number laser printed onto the pipette body and with an included certificate of identification and accuracy.